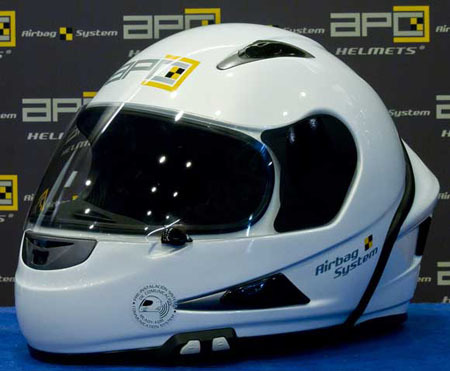 SPANISH HELMET company APC has developed this helmet with an integrated airbag system, and the system has now gone on sale. Priced around Euro 829 (£650), the helmet apparently has a light external shell made from a composite compound, comes in sizes from XS to XL and features a bluetooth system, too. 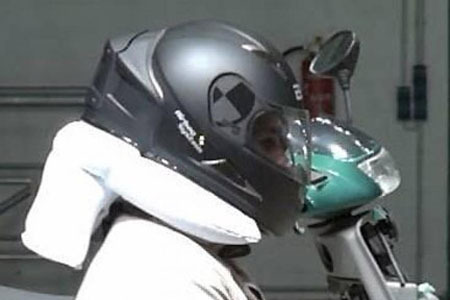 The built-in airbag system is fitted under the helmet and is activated by a detection system fitted to the motorcycle. Looks trick, you can buy it and by all accounts it works.